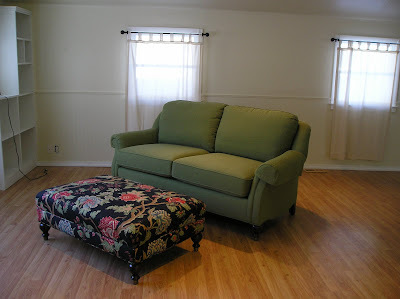 The starting point is this loveseat and ottoman. Then we add other pieces. I always start with a floor plan. I am always amazed at the mistakes that clients have made before they hire me. In an effort to illustrate and explain the benefit of working with a designer (more specifically, me). I can save clients time, headaches and money, it is that easy. In this example, this is one of my own properties. It is a single family home which I have recently transformed into a vacation rental. The goal was to make the interior casual, comfortable and colorful. The first step in any new project is that I always start with a floor plan. Either it is a rough sketch or a detailed computer drawn plan. 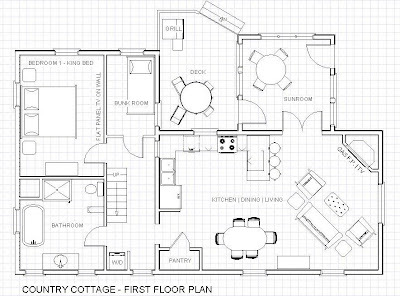 The plan shows what fits in the space. This is critical! All too often I have seen clients buy furniture too big for the space they have. This is a complete waste of money. Once I had the floor plan, I started shopping. I was open to a color palette but I looked for one piece that would dictate the direction. In this case, it was beautiful colorful ottoman at Parson's Furniture. 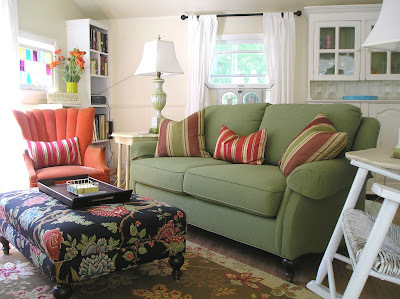 From there I was lucky enough to find a coordinating loveseat in the Bargain Barn that was a color I love (how lucky was I?). From there it was easy. I bought the ottoman and loveseat from Parson' Furniture and then I started the layering effect. 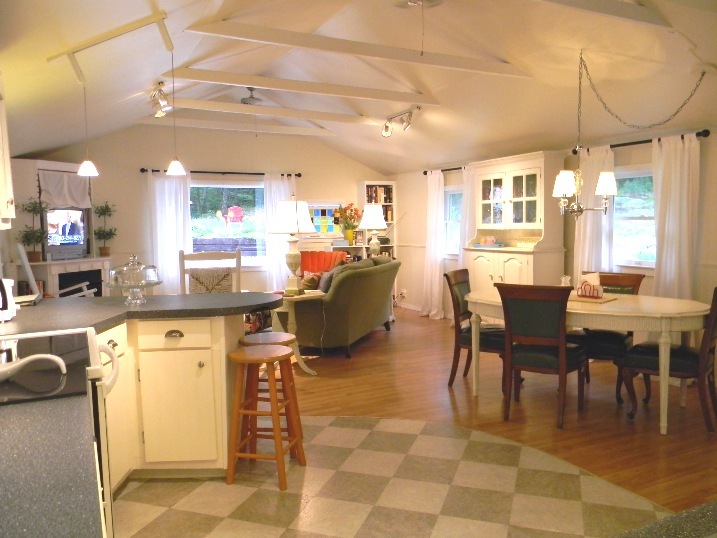 Add rug, pillows, accents, lighting, curtains, etc. I am not a fan of "matching" and "sets" so everything coordinates not matches. Fortunately, I have a retail shop to draw from for the painted accent pieces and lamps. Vintage furniture painted is a great way to get quality, unique furnishings without spending top dollar. Before you think you can't afford a designer, think again. I know I have saved clients money and the end result far exceeded their imagination.